For a period of 128 years until its abandonment in 1955, a United States Arsenal was located on a tract comprising approxiamately 70 acres lying South and West of this spot. 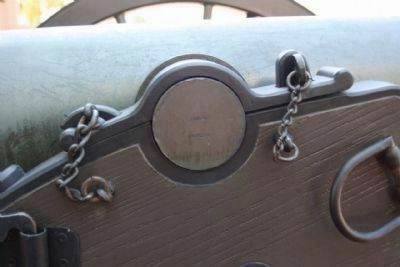 An "arsenal at Augusta" to aid the state in "resisting invasion" was originally provided for by President George Washington in 1793. 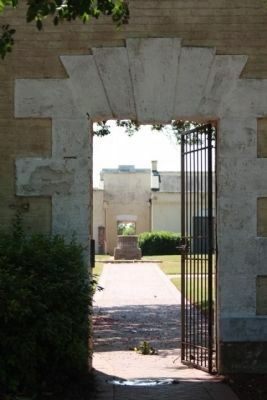 In 1816 a U.S. Arsenal was established on the Savannah River where the King Mill is now located, but the garrison having been wiped out in 1819 by "black fever," it was removed to this site in 1827 and consisted of two magnificent sets of officers quarters, an enlisted men`s barracks and a storehouse building conneted by a loopholed wall. Expanding activities to meet the requirements of the Army in subsequent wars increased the number of buildings to a total of 101 at the end of World War II. 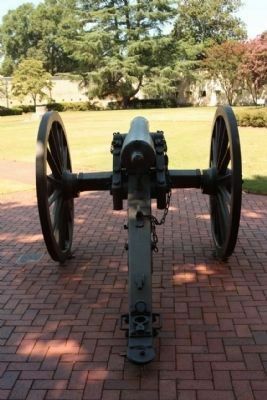 On January 24, 1861, it was surrendered to Georgia troops with its garrison of 80 men commanded by Captain Arnold Elzey, and during the War Between the States it manufactured a variety of ordnance for the Confederate Army. This marker is included in the Georgia Historical Society/Commission marker series. Location. 33° 28.689′ N, 82° 1.34′ W. Marker is in Augusta, Georgia, in Richmond County. Marker is at the intersection of Walton Way and Fleming Avenue, on the right when traveling east on Walton Way. Touch for map. 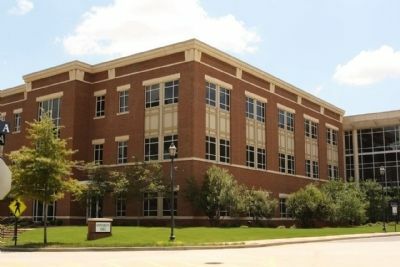 Located at the Walton Way entrance to Augusta State University. Marker is in this post office area: Augusta GA 30904, United States of America. Touch for directions. Other nearby markers. At least 8 other markers are within walking distance of this marker. 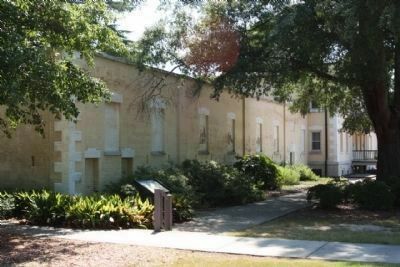 Augusta State University (within shouting distance of this marker); Augusta College Three Original Arsenal Buildings (approx. 0.2 miles away); Bellevue (approx. 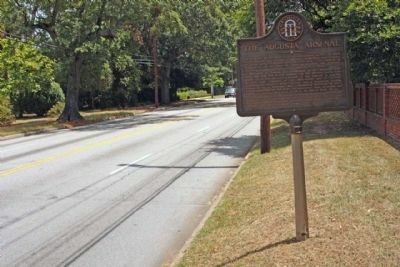 0.2 miles away); a different marker also named The Augusta Arsenal (approx. 0.2 miles away); The Bell at Augusta State University (approx. 0.2 miles away); Stephen Vincent Benet House (approx. 0.2 miles away); Augusta Arsenal 1941 (approx. 0.2 miles away); Walker Family Cemetery (approx. ¼ mile away). Touch for a list and map of all markers in Augusta. More. 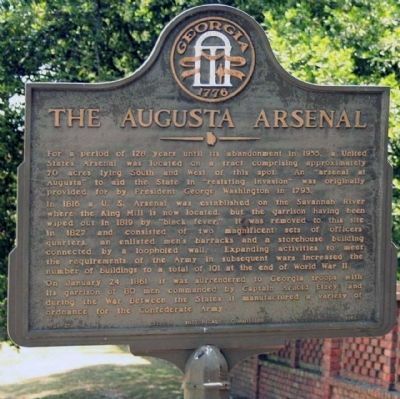 Search the internet for The Augusta Arsenal. Credits. This page was last revised on June 16, 2016. This page originally submitted on August 22, 2010, by Mike Stroud of Bluffton, South Carolina. This page has been viewed 788 times since then and 6 times this year. Photos: 1, 2, 3. submitted on August 22, 2010, by Mike Stroud of Bluffton, South Carolina. 4, 5, 6, 7. submitted on September 13, 2010, by Mike Stroud of Bluffton, South Carolina.